This article about binary options affiliate payouts is written by Lee More of WhyOptions.com. Binary options are the newest fad in the online gaming and finance verticals. The idea behind them is to basically gamify financial betting; making it easier for the newb to get going in this market. Many can’t understand forex or trading in general but when all you have to do is decide if a stock is going to finish higher or lower, it’s really rather easy. But this doesn’t mean that trading binaries is only for those who “don’t get” the other more advanced financial products. On the contrary, binary options are used by very advanced traders for many purposes and as such, the appeal of the product has the potential of reaching that of forex or stock trading. The way things currently function in this arena is that operators are pushing the product to the gaming and forex verticals. This is being done either via traditional media buying, PPC on Google, Bing, and Yahoo, as well as affiliate programs. However, of these methods, affiliation is still relatively weak and it surprises us greatly. The search volume for binary related keywords is simply skyrocketing. From a monthly search total of around 1000 1.5 years ago, search volume tops 150k per month today. Sure, this is nowhere near gaming or even forex for that matter. But imagine where you would be if told that gaming was the next thing to be big, but not in 2009, but rather 1998. That would put you in a similar situation to what we see in the binary world today. 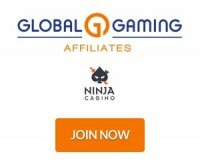 The way affiliation is set up today should be very familiar to those in gaming simply because many of the biggest binary options affiliate programs are actually being run by gaming companies. So the structure and even some of the people will be very similar to gaming affiliates. However, most don’t know whether it’s worth the time and effort to get involved. Questions like; what’s the player value? What’s the CPA available? Is rev-share possible? These are questions we get asked a lot and the surprising bit of news is that the numbers are very good. For starters, the LTV of a binary trader tope $1200, meaning affiliates have plenty of room to take a bite out of this. Rev-share deals are similar to gaming as even the term “net gaming” will come into play with most operators. So now the question is just what can an individual affiliate expect to make working in this field. If you can get to a point of 100 unique visitors per day, you should be able to see 1 lead develop per day and 10 leads should equate to a trader. Conversion is usually automatic however, binary brands have call centers to improve on the auto-conversion numbers and also work retention to get more deposits. So with about 2000 uniques per month, that should mean about 20 clients. 20 Clients equates to a CPA of no less than $250 per head. Some affiliate programs can pay out up to $400 for this type of traffic. So that’s a range of 250X20=$5000 to 400X20=$8000. Meaning, with 100 uniques per day, this already becomes a viable business model. So the general expectation is to earn about 250-400 on CPA. But the real money will eventually be in Rev-Share. Some binary companies have such good retention teams that they are capable of parlaying a smaller initial deposit into eventual LTVs of upwards of 2k per head. That means that if they can average a high LTV, it would be worthwhile to take a rev-share. However, our take on this is that the market is still in its nascent stage and until an affiliate is really able tobring in hundred of traders per month, it’s likely better to stay put with an aggressive CPA deal as opposed to taking the risk with a rev-share deal. Don’t forget, this is just like gaming so one whale can rip all of your profits to shreds. We recommend negotiating a strong CPA deal to start. Get a taste for the conversion rates at the particular broker you choose to send your traffic to and be ready to make changes to your traffic and even changing the operator you send the traffic to. Some gaming affiliates are already trying to flip DBs full of gaming clients into binary traders directly. This is possible as well and there is certainly some uptake in this method. Seeing as how the binary companies all have sales staff, it’s a possible model. Anyway you look at it, the numbers in the market make sense to give it a shot. Unlike forex before it, binary options are closer to the instant conversions gaming affiliates are used to with payouts competitive enough to take a chance on. This article is written by our Gaffg trusted affiliate WhyOptions.com. You can also read their other guide: binary options affiliation guide.